Before I was writing a cookbook, before I was a food blogger, before I was vegan, all those befores, I was a student in university who happened to love to host dinner parties. 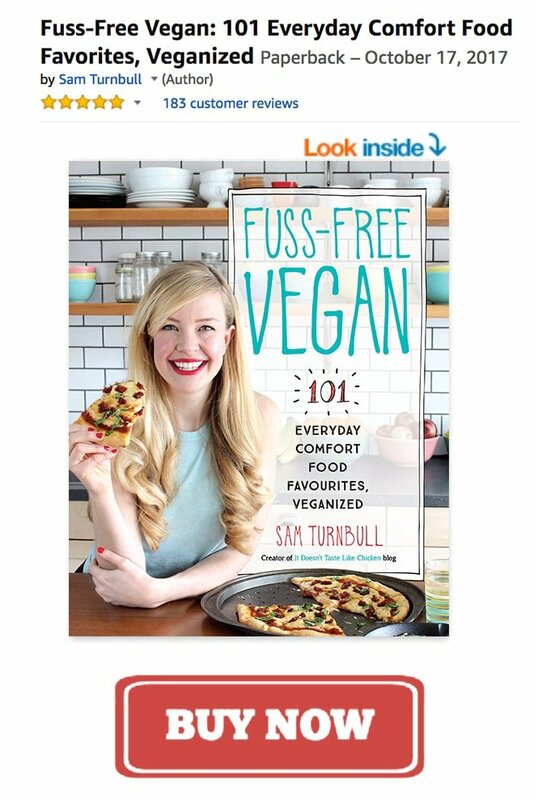 I remember a moment where I proudly declared to my friends that I could write an entire cookbook on pasta recipes. I waved my wooden spoon in the air as I said this, and a piece of penne went flying across the room. (No alcohol was involved…er…). Not only could I write an entire cookbook, I gestured, but all my recipes could be prepared in the time it took the water took to boil. Arm and spoon straight into the air a la He-Man. I’m subtle. This is not what my cookbook is about, but I still believe I could do just that. I have a deep love of pasta, and an even deeper love of quick, easy, pasta recipes that take only 15 minutes to make. I mean really, who doesn’t have a deep love for that!? This quick, creamy, pasta meets all the requirements, and is jam-packed full of fresh spring flavours. 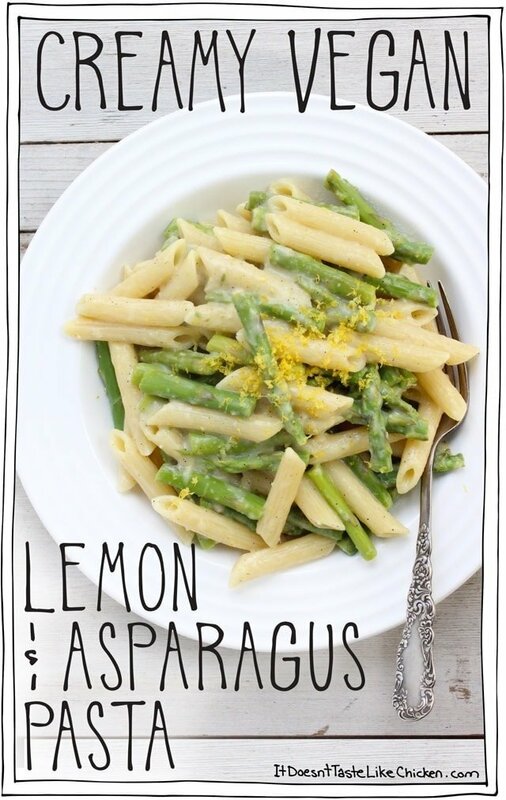 Garlic-y, zesty, tangy, a bit spicy, lemon-y, asparagus-y. Just so many y’s. This is the perfect recipe for a quick, spring meal, so you can get out of the kitchen and enjoy the first hints of warm nights. Now for the secret asparagus tip. My mom taught me this little ditty, and let me tell you, it works. You know when you eat asparagus and sometimes you get those wooden, chewy, stringy, tough pieces that are gross. This little tip is how you completely get rid of those pieces. 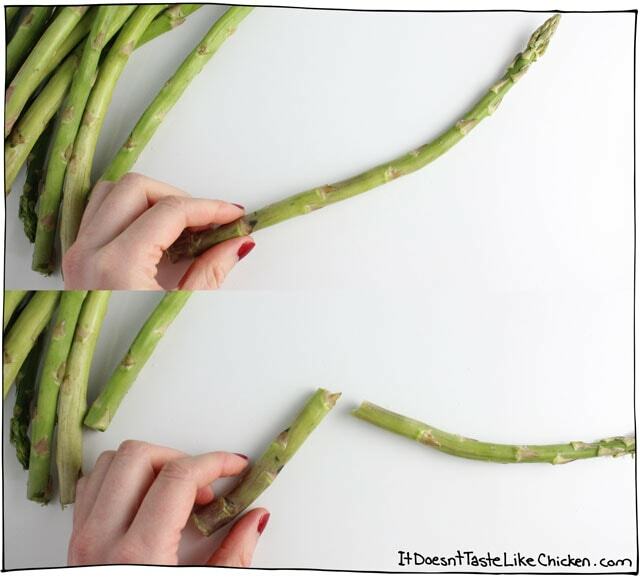 My mom’s secret tip: Hold an asparagus stem at the base, then use your other hand to hold it somewhere in the middle, (I was photographing so I only could show you one hand… food photography problems). Bend the asparagus until it breaks. Where it breaks off will be the woody stringy gross bit, and you can save that for Veggie Broth or toss that out. The top part of the asparagus will be all tender and glorious. 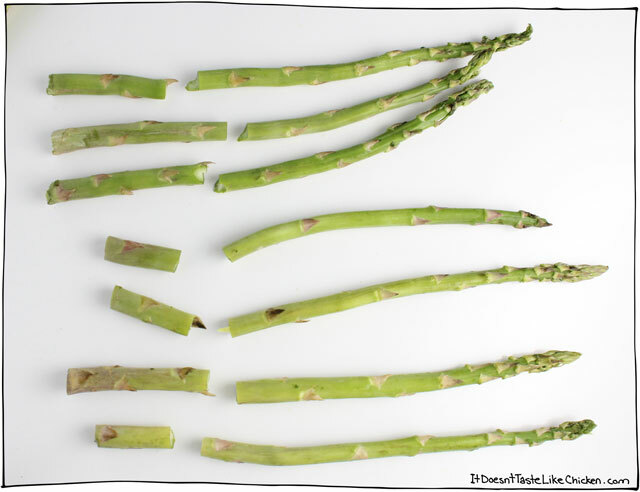 Do this with your entire bunch of asparagus and you will see that some pieces will have very little woody gross bits, and some will have a lot. They will all break in different places. 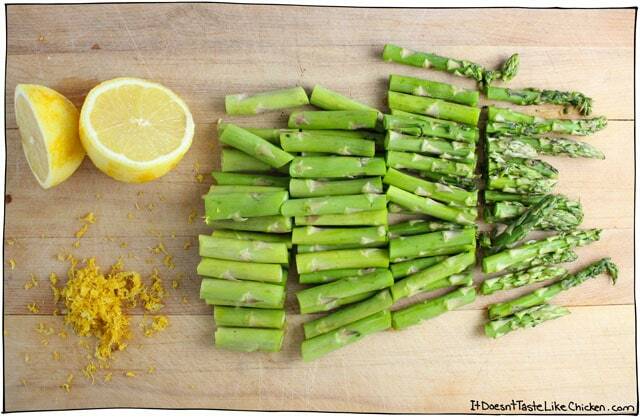 So now that we have removed the grossness, chop up the good parts of the asparagus and zest your lemon. 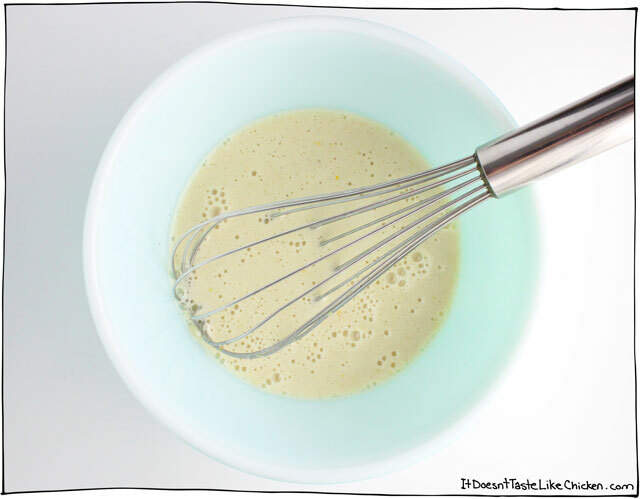 Whisk together all your sauce ingredients. Alternatively, you could whizz them up in a blender, whatever you find easiest. Boil your pasta according to the package directions. In the last 3 minutes of cooking time toss in the asparagus. Finish cooking the pasta and drain. 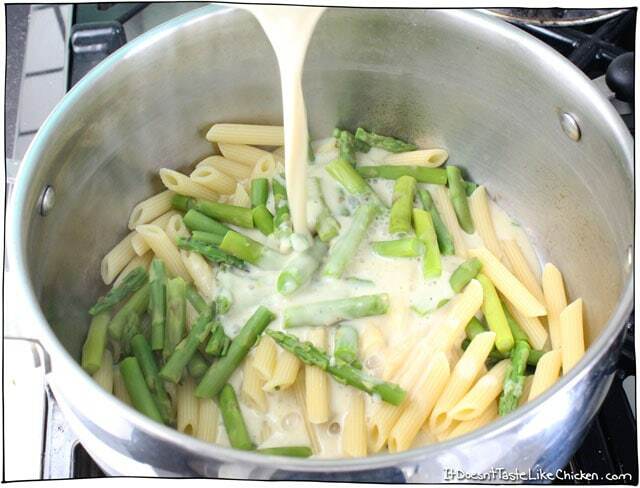 Return the asparagus and pasta to the pot then pour in the sauce. Stir and heat through until the sauce has thickened and nicely coats everything. Serve while hot and delicious. Yum! This recipe is so easy, just 15 minutes to make! 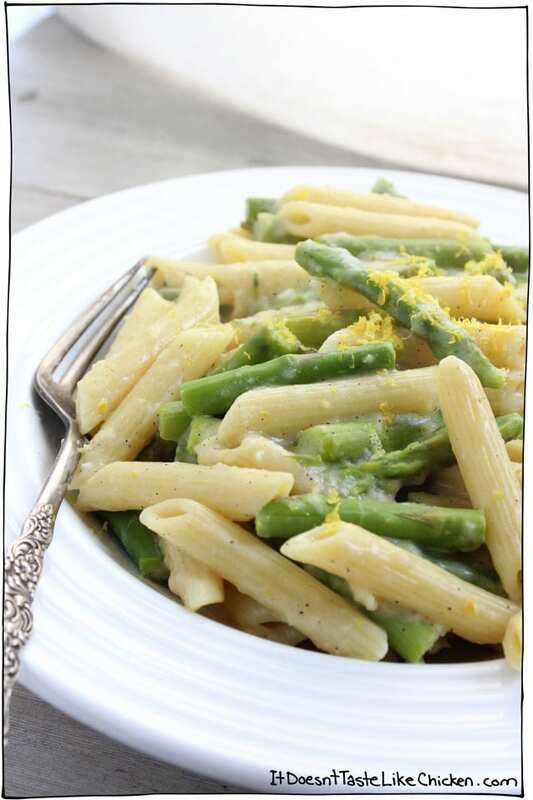 Fresh, easy, creamy, and full of zesty lemon and the zing of garlic. Perfect quick pasta for a warm spring night. Bring a large pot of water to a boil, and boil the pasta according to package directions. In the last 3 minutes of cooking time toss in the asparagus. In the meantime, whisk together all of the all of the sauce ingredients in a bowl. Alternatively, you could mix them together in a blender. Whatever you find easiest! 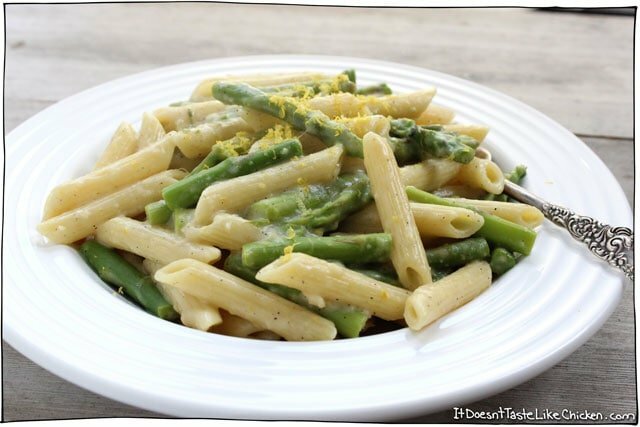 Drain pasta and asparagus and return to pot. Add in all of the sauce and toss well to combine and heat through. For a gluten-free dish, use gluten-free pasta, my favourite is brown rice pasta. Tried this but it was pretty bland in my opinion. Tried adding cilantro, basil and some others to help, still no luck. Too lemony for my taste buds. But I look forward to trying some of the other options on this site that I am sure are yummy! Sorry you didn’t enjoy it, Nikki. Do you think this could work with something like almond, tapioca, buckwheat flour ? I can’t have all purpose gluten free because most of the time it contains things like corn or potato starch. We tried this last night and really loved it! I used homemade oat flour (just finely ground rolled oats). Your recipes are always so great, thank you for sharing them! Delicious! And what a great tip on prepping the asparagus. Thanks for sharing! You’re very welcome, so glad you enjoyed it Kristen! This lemon sauce looks amazing! 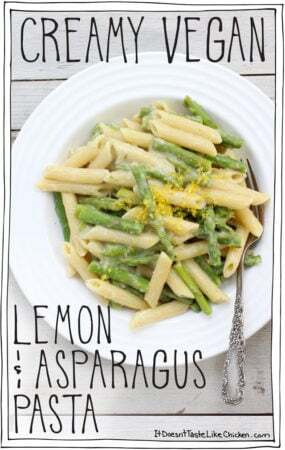 I have a bunch of lemons on my tree right now, so I definitely want to try out this recipe soon (even though I’m not a huge pasta person! 😉 ) Thanks for the new way to use up all of our lemons! Nice recipe! Just curious, doesn’t the sauce, with the flour, need to be cooked through first before adding to the pasta? I would think the flour would still taste a little raw if not actually cooked, but only heated through? 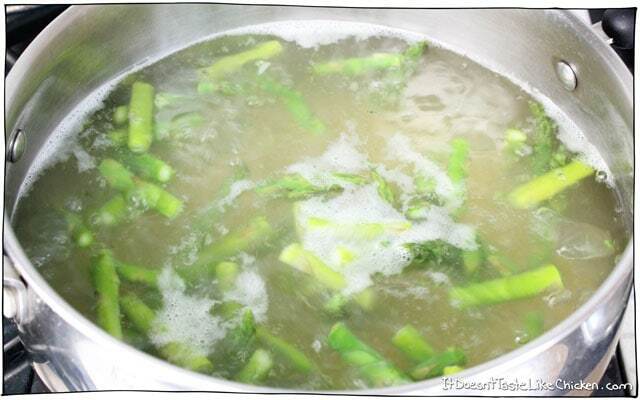 Don’t throw out those woody stems – save them for your stock pot! Very nice flavor addition. Love your recipes! Keep up the excellent (and delicious!) work.